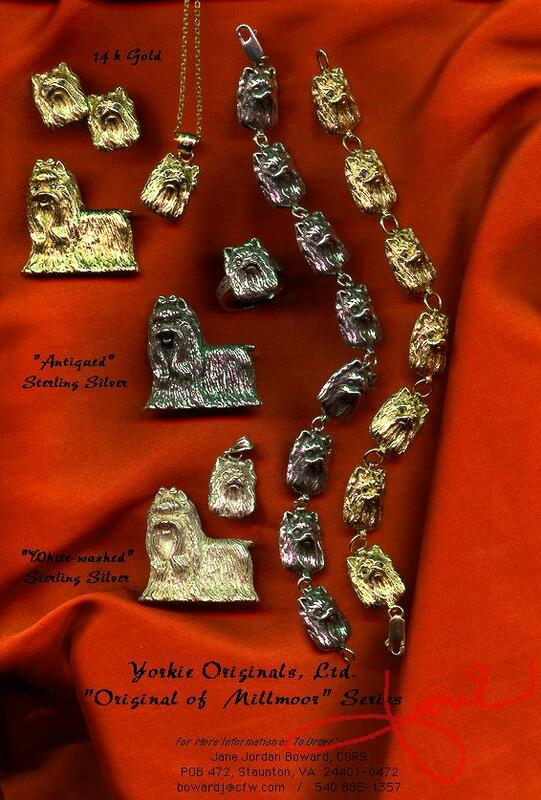 If you LOVE Yorkies, you have to have this beautiful Yorkie jewelry inspired by "Multi-Ch. Original of Millmoor"
Designs available in 14k. Gold and Sterling Silver. 1) Phone order: Call us at (540) 885- 1357. 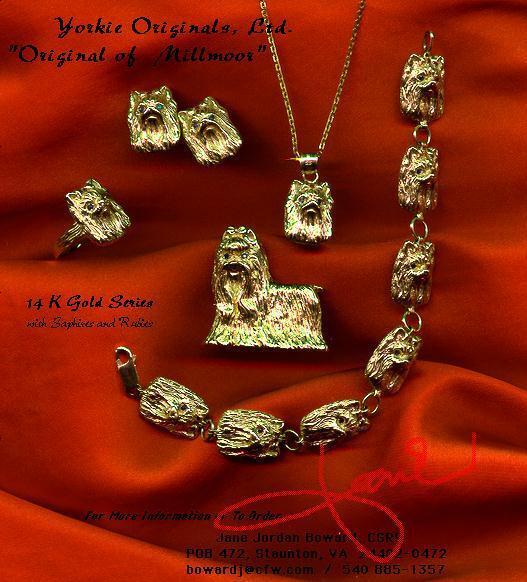 1) The jewelry item #(s), Quantity, and your choice: Gold or Sterling Designs. 2) Your name, address, phone #, and email address. 3) Major credit card type (Visa, Master Card, or Amex), account # and Expiration date. 4)Remember to add tax if you are a VA resident. We will figure the total of your order with shipping and will send you confirmation of the order by return email. 3) Snail Mail order: Click on the jewelry box below to go to the printable order form. Print out form. Fill in information and send along with check, money order, or credit card information. Copyright Oct. 1,1998. All rights reserved by BLUgene's Yorkshire Terriers. Please do not remove anything from these pages without owners permission.